Dr. Hulla is a Senior Toxicologist employed by the U.S. Army Corps of Engineers in Sacramento, CA. She supports the Army Medical Research and Materiel Command in the research and development of real-time chemical sensors and advises occupational and environmental health risk managers. Jan became a Fellow of the Academy of Toxicological Sciences in 2012. She is a 26-year member of the SOT and in 2017, elected Vice President of the 798-member Women In Toxicology Special Interest Group. 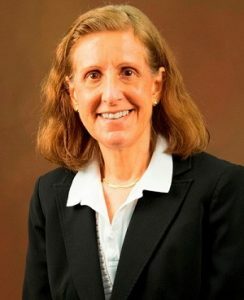 Her past professional service includes: member, Joint International Union of Toxicology/SOT Taskforce for Toxicologist Recognition; member, SOT’s Regulatory Affairs and Legislative Action Committee; member, DOD/SOT Government Liaison Group; member, Board of Directors of the American Board of Toxicology and Chair of the Exam Committee; Associate Editor for Food and Chemical Toxicology; member, EPA’s Board of Scientific Councilors’ Homeland Security Subcommittee; member, Interagency ES21 Initiative, Sensors and Dosimeters Subcommittee; member, California State University-Sacramento, Dept. of Civil Engineering Graduate Advisory Committee. Jan earned a B.S. degree in Microbiology and a M.S. in Biochemistry from Montana State University. Her Ph.D. in Pharmacology was earned at the University of Washington School of Medicine. She took post-doc training in Molecular Biology at the Pacific Northwest National Laboratory. Her professional experience began with concurrent appointments as the North Dakota State Toxicologist-Bismarck and a faculty member of the Department of Pharmacology, University of North Dakota School of Medicine-Grand Forks. Prior to her current position, Jan held a 1-year research appointment at the National Institute of Environmental Health Sciences.